We hear all too often that life is too busy and your home is too valuable to keep up with on your own. That is where we come in. Handyman Matters can handle simple home projects and repairs, as well as larger, more complex improvement projects. We do it all! Our Professional Craftsmen are skilled and experienced, assuring you of a job well done. Our commitment to you, the customer, is at the core of who we are. We know how important your home is to you and we want to be your home ally. Our Pledge to you is simple. We will treat your home “like it’s our home.” Handyman Matters North Metro Denver is one of the original locations from 1998 that is currently operated by the original founders. We are still operating under the original beliefs of exceptional customer service, fair pricing, and top-notch Craftsmanship. Although extraordinary, our Craftsmen are not the only element that differentiates us, it's also our unbeatable commitment to our customers. When it comes to the work performed and quality of service provided, Handyman Matters customer service is like no other. For most people, their house isn’t just a place, it’s the home where they raise their children and oftentimes retire. It represents one of the top three investments many of us make in our lifetimes, yet most people struggle with proper upkeep. Simply put, though life is busy, your home is precious and it’s essential to give it the attention it needs. Handyman Matters can tackle simple home-repair needs as well as large, more complex home-improvement projects. We help you maintain both your home’s value and deliver on your vision for improvements and remodeling so you can enjoy your life. Best of all, you can be confident about working with us, as every project we do is 100% guaranteed. I am licensed and insured providing Handyman and Home Improvement services including: Complete handyman service Property management maintenance Kitchen and bathroom remodeling and repair Decks & Patios Basements All types of flooring Drywall hanging and repair HVAC Maintenance Pressure washing Carpentry Gutter Cleaning Doors and windows Home repairs Plumbing Electrical Rotted wood repair And more No project is too big or too small. I serve the Denver metro area including: Denver, Westminster, Louisville, Boulder, Brighton, Northglenn, Thornton, Wheat Ridge, Englewood, Littleton, and other outlying Denver metro areas. ASHRR is a his and her, family owned and operated small business dream. We service all your needs from handyman work to complete remodeling. We can complete your smallest projects and create your biggest dreams. We have a great team of professionals ready to work with you. With over thirty years combined experience, we personally bid and work at your home or office and treat it with the upmost pride and respect. We are honest, hardworking, reliable and affordable. We have done it all from complete gut and remodel to house cleaning. Give us a call today, we can help! We have a team of handymen who are the rare jacks of all trades and masters of quite a few. We can fix a whole slew of problems. After decades in the local home repair and remodeling business, we've seen a whole lot – chances are your problem isn't something we haven't seen before. We love making your home great. We are committed to Repairing, Maintaining and adding Value to your home. Home Improvement Express (HIE) is a professional handyman and remodeling company. We are experts at almost any home improvement or maintenance task, and all of our service vans are outfitted to accommodate a wide variety of these tasks. All of our craftsmen are vetted employees, have a minimum of ten years experience, and routinely receive continuing education to maintain and update their skills. HIE also offers a wide variety of smaller remodeling projects such as bathroom makeovers, mud rooms, laundry rooms, closets, etc. Our mission is to consistently deliver professional handyman and remodeling services that exceed our clients' expectations, while creating relationships that will generate a lifetime of referrals and repeat business. We are your one stop shop for all maintenance and remodel needs. 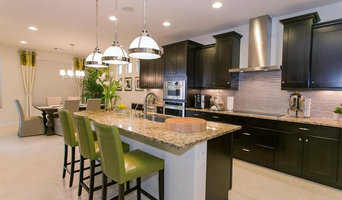 We help our clients through the process of fixing or updating their home or condo. We enjoy assisting each home owner discover the amazing changes through remodeling, renovations and handyman repairs. Colorado Installer provides Home improvements and remodeling services, high quality window treatments, Kitchen cabinets, Picture Frame and Shelves installation plus Furniture assembly services. We can handle any project size according to the service you need. Our staff is friendly, professional and punctual. We provide services all around Northern Colorado - Serving Loveland, Fort Collins, Longmont, Boulder, Broomfield, Denver and surrounding areas. We arrive at your property on time and to finish the project in a timely manner. 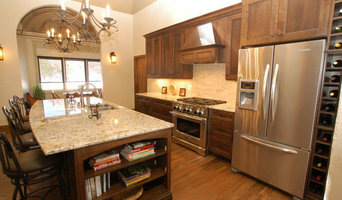 We are a locally owned professional handyman service serving Norther Colorado since 2002. We also offer custom plantation shutters at a discount!